The Welk has a stout should with yellow-brown coloration and darker spiral areas. The shell has a large oval opening that tapers to a point and 7-8 whorls. The shell height can reach 110mm and the shell width can reach 60mm. It is a carniverous species and feeds on polychaete worms and other mollusks. The Welk will use the sharp edge of its shell to pry open bivalve shells or may even drill holes into the shell of its prey to access the soft tissues inside. 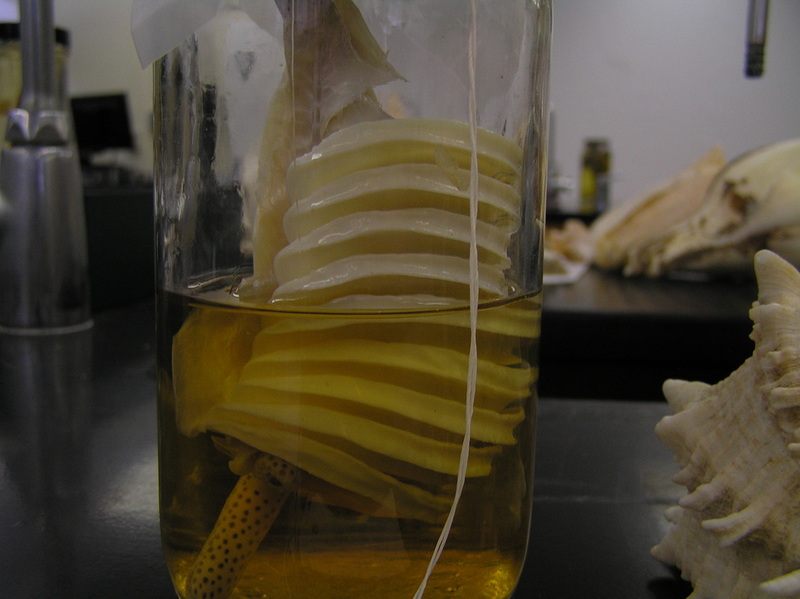 A siphon is used to bring sea water inward over the gills. Sexes are separate and breeding takes place from October to May. there is no free-swimming larval stage. Crawling larva emerge from the egg capsules after several months. Welks can be found around the coasts of Britain and along the coasts of northwest Europe. Welks are often fished commercially through the use of traps and are usually exported to the Far East for consumption. "Common Welk". Arkive.org. Retrieved from: http://www.arkive.org/common-whelk/buccinum-undatum/.